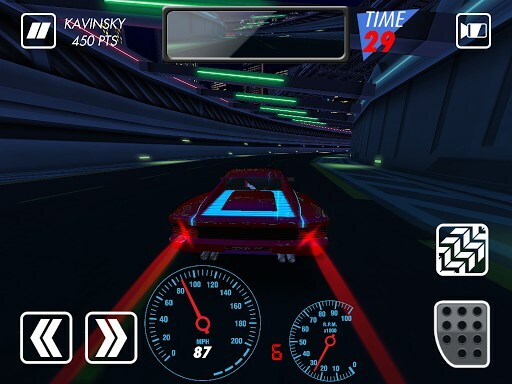 KAVINSKY – Games for Android 2018 – Free download. 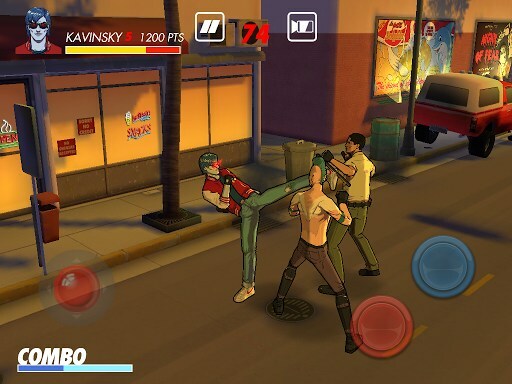 KAVINSKY – Street fighting with great electronic tunes. 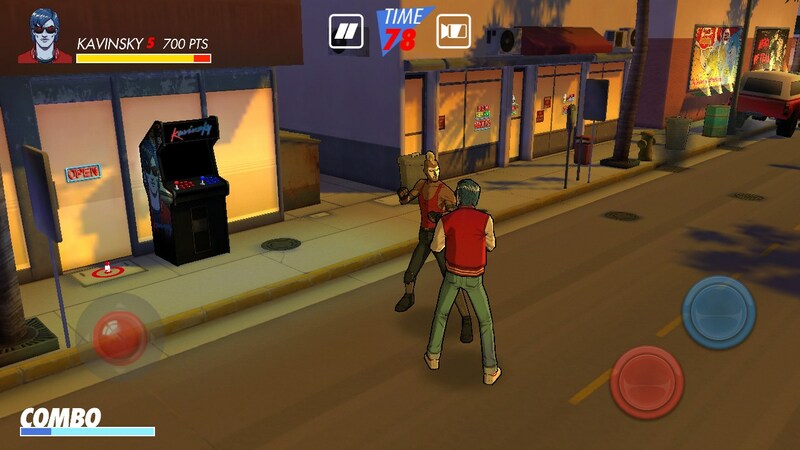 KAVINSKY - it's a beautiful 3D-shooter fights for Android, available only for the promotion of the new album, the popular performer of electronic music - Kavinsky (among fans of trance and electronic music is a name well known). Sense to create a game to promote the music album is not completely clear, but the game was good and at the same time totally free. The game is designed as a stylish hand-drawn comic book style graphics (like the style is still used in the popular shooter Borderlands). Although, if you wish, there is a possibility to switch the style of play in the pixel version. Generally, in visual terms to the game have no complaints, it looks great and looks very high quality, even compared to expensive shooter from Gameloft. Pro audio part is difficult to say something, you just need to listen to it. All collections are gorgeous, and they immediately want to download (finding them is not difficult, here is the official site of the musician - http://www.recordmakers.com/artist.php?id=10). In terms of gameplay, this is the most real street fighting era of the first Playstation. Corridor empty streets, a lot of gangsters with guns and without, as well as large and evil bosses that can kill us with a few strokes. Control of the game is not difficult: the left stick to move and the right - two buttons to attack the hand and foot. Here are just a very few mechanics pumped up, very often there are mistakes, but strikes are not tied to the enemy. The game is divided into levels, each of which ends in a fight with the big boss. We are particularly pleased with the levels where we will drive a red sports car. And even though the gameplay is far from Asphalt 7, but the inserts very out of place, and allow to diversify the gameplay. Also, we advise you to definitely try to press the camera button and see how the game might look like this in the pixel style. Unique soundtrack in the genres Electro and Trance. The disadvantages include the unfinished game mechanics of combat and the high complexity of the game. Together, these two flaws make the game unbearably heavy, even the first level is very difficult to pass. We hope that this will be fixed with the release of updates. Summary. 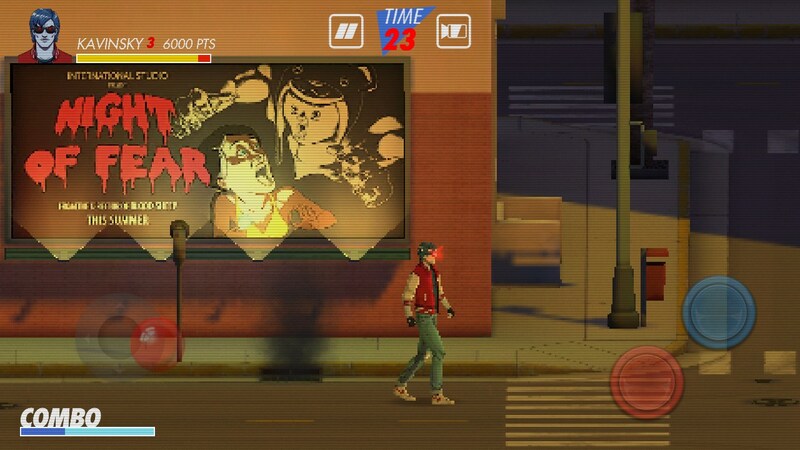 KAVINSKY - this is an unusual colorful game for Android, which is equally attractive for gamers with fist fights and fans of quality electronic music. Plus, the game is completely free, no ads and no restrictions. This gift, take away!